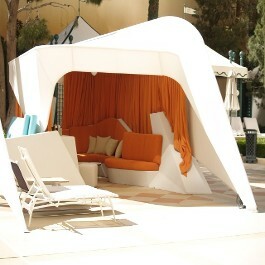 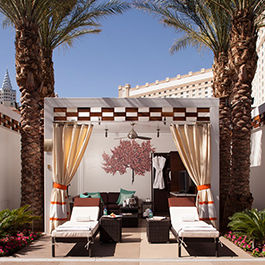 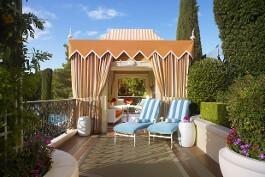 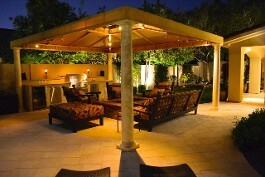 We Manufacture Cabanas in wide range of styles and sizes, in both aluminum and steel. 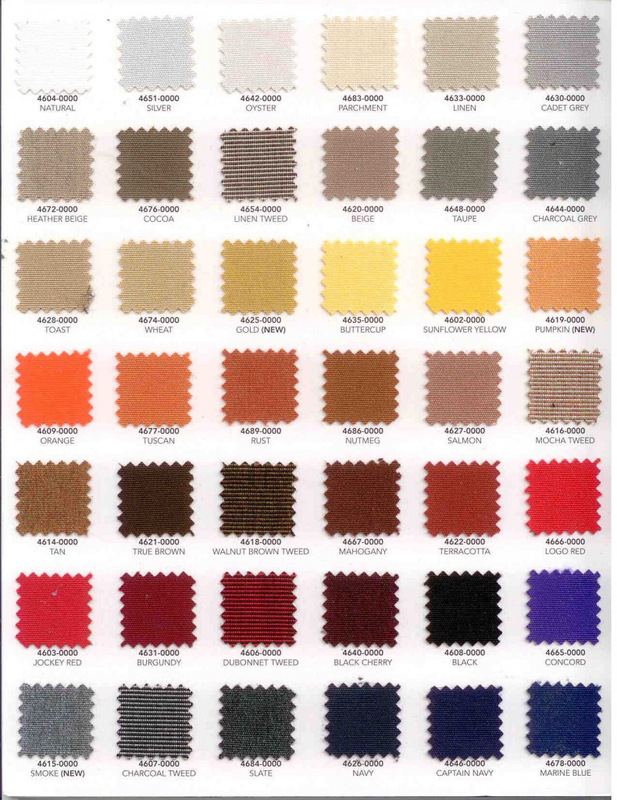 Finishes can range from paints to powder coating. 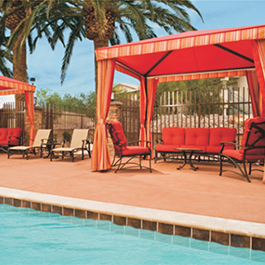 We utilize standard fabrics, fire rated fabics, and non-combustible to make our covers. 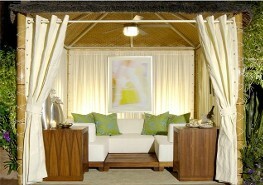 Traditional canvas walls roof, valance and curtains.